ZALEC, SLOVENIA - 1. 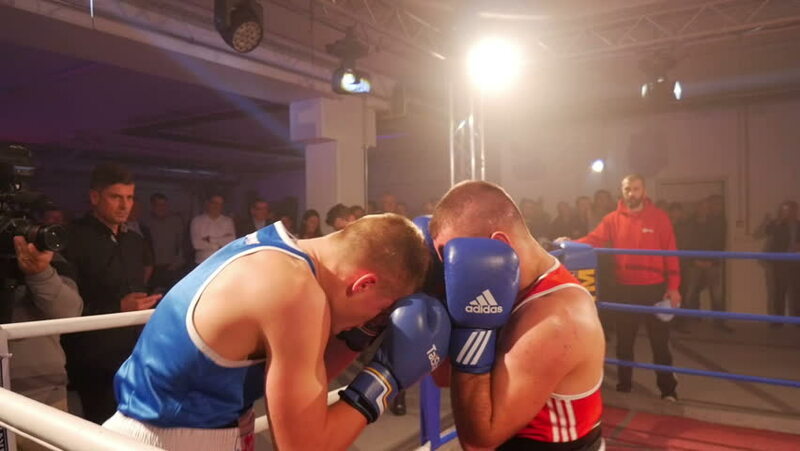 DECEMBER 2017 Two young boxers are fighting in the boxing ring. The one in a red uniform hits the one in the blue uniform many times in his face and tries to hit him in his head. 4k00:13An athlete doing extreme push ups at a gym. Shot on RED Epic.